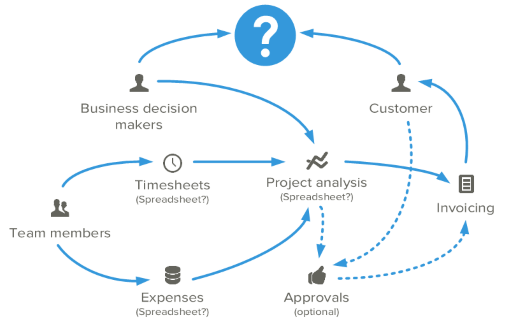 Timestamp - Real-time project, time and expense tracking in the cloud. Try Timestamp for free. One click project tracking that you can act upon, and your clients will love. When will we run out of money for this project? Do we have capacity for another project? How much time are we spending on unbillable work? Are any team members underutilised? Is this the type of project that maximises our profits? Import or track your time and expenses and let Timestamp do the number crunching, giving you the real-time answers you need. Cost, revenue and profitability reporting helps you figure out what makes you profitable, what processes need improving and ultimately saves you time and money. See clearly, at a glance, where your project's at, and where it's going. Watch your budgets, delve in to where you are spending your time and see if you are making money. Read more. Track and rebill expenses easily. Bin the paper receipts; simply upload a photo from your smartphone, or scan and attach on your desktop. Mobile is a big deal. Timestamp has been carefully designed to work across all your devices so you never lose track of the precious minutes of your day, or forget to add an expense. Timestamp never forces you to replace your existing tools. Integrate with popular invoicing, project management, and business intelligence tools. If your tool isn't listed, simply contact us and we'll be happy to consider supporting it. 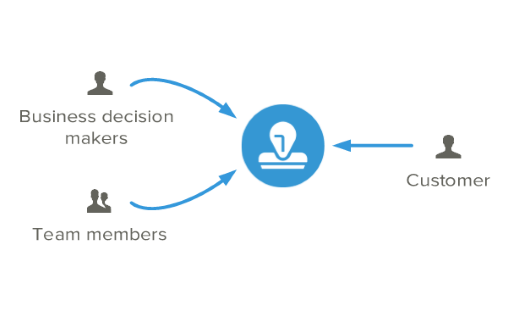 Track cost, revenue and profitability in real-time and inform you decision making. 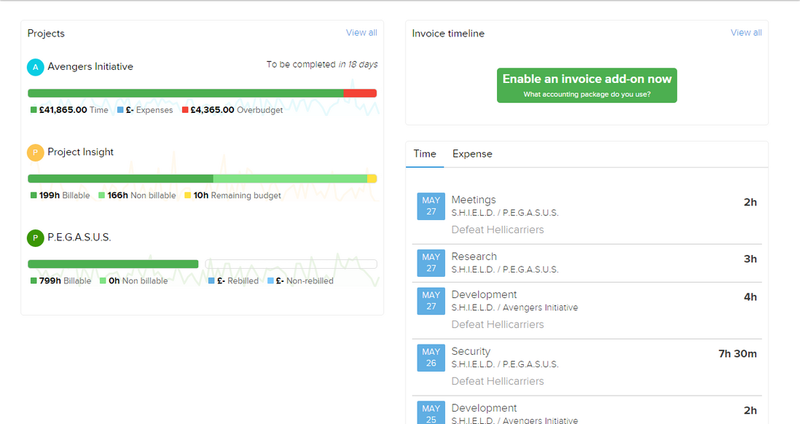 Simple timesheets and expenses allow your team to get the job done. Review your team's progress and keep an eye on what's happening. Add-ons allow Timestamp to play nicely with the tools you already use. Use Office 365 or Google Apps? Your team can sign-in with existing credentials. Works on all of your devices, wherever you are. Great for teams of all sizes including freelancers and contractors. Microsoft Azure hosted for reliability and scalability. The same infrastructure runs Office 365 and Skype.